[CONFSERVER-26082] Viewfile macro's dropdown menu doesn't show the selected file name in IE8 - Create and track feature requests for Atlassian products. 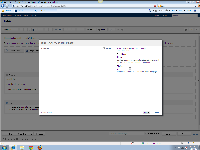 The dropdown menu of the viewfile macro which displays the list of attached file names is not displayed as intended. The menu does not show the selected file. This is only a display issue and it does not affect the functionality of the view file macro itself.